Once the telephony service is set up, it is possible to send an SMS text message to a user through a flow using the Communication > Telephony > SMS > Send SMS Message	component. 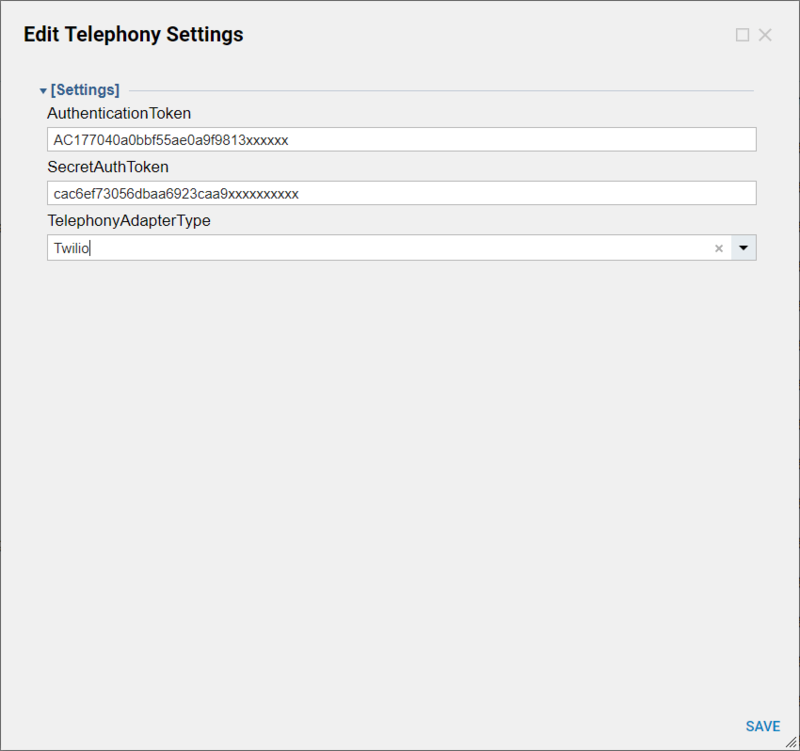 In this example, we will set up the telephony service to introduce a Twilio account. This example assumes that the company has already registered an account with Twilio, at www.twilio.com . Also assumed is that the Portal host name is resolvable by the Twilio service (note that the portal base URL should not be localhost: this is a known issue). To register a telephony service, navigate to System > System Settings > Telephony Settings	. In the Authentication Token field, enter the token received from the service provider. Repeat for the secret authentication token. Select the appropriate Telephony type in the Telephony Adapter Type	drop-down menu. Now you will need to configure the phone number(s) in your IVR service that you want to use with IVR flows on this Decisions server. 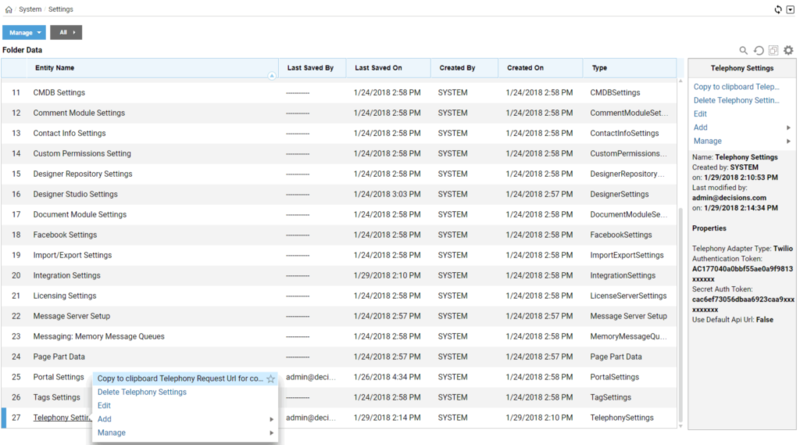 Select the Telephony Settings	and click the Copy to clipboard Telephony Request Url for connection	action. This will place the Telephony request URL in your clipboard which can be pasted into your IVR service's settings for the phone number you want to use. 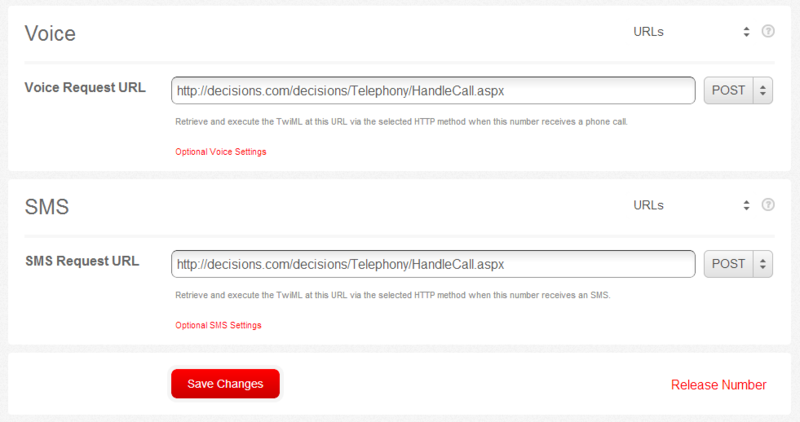 See below for an example on how to use this URL in the Twilio settings.